The 83-year-old was among the activists raided by the Pune Police in connection with the Bhima Koregaon violence last week. We, the undersigned students, faculty and others from IIT Kharagpur are shocked with the treatment that the police forces have meted out to our ex-colleague, Prof. Anand Teltumbde and other intellectuals. 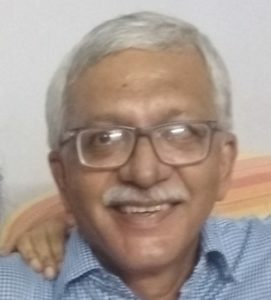 His residence in Goa, where he is working as a Senior Professor and Chair, Big Data Analytics at Goa Institute of Management (GIM), was intruded by the police forces without permission in his absence. This police action was part of the large scale raids and arrests of eminent scholars, intellectuals and lawyers across the country on Tuesday. 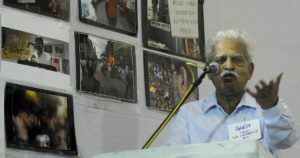 Under the pretext of ‘#urbannaxals’, police barged into a central university campus, raided Dalit intellectual Prof Satyanarayana’s house, and seized all his academic work. A student recounts the ordeal. These are the words of Sagar, who is still coming to terms with his father Vernon Gonsalves’ arrest from their residence in Mumbai on Tuesday, 28 August.